Maya L. Henry is an Assistant Professor in the Department of Communication Sciences and Disorders at The University of Texas at Austin and is director of the Aphasia Research and Treatment Lab. She received her bachelor’s degree from The University of Texas at Austin and her M.S. and Ph.D. from the University of Arizona in Tucson. Dr. Henry completed an NIH postdoctoral fellowship at the University of California's Memory and Aging Center, a leading research center that investigates atypical dementias such as frontotemporal dementia (FTD) and early-onset Alzheimer’s disease. In 2014, she joined the faculty in the Department of Communication Sciences and Disorders. Her clinical and research interests are in the nature and treatment of aphasia caused by stroke and neurodegenerative disease. Funded by the National Institutes of Health, her research has explored cognitive and neural bases of spoken and written language as well as the rehabilitation of language impairments associated with primary progressive aphasia. 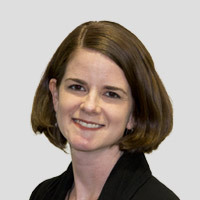 Dr. Henry has published her research in a variety of journals including but not limited to Brain, Journal of Cognitive Neuroscience, Cortex, Journal of Speech, Language and Hearing Research, Aphasiology, Brain and Language, Clinical Interventions in Aging, Neurocase, Neuropsychological Rehabilitation, and Current Opinion in Neurology. She has also published several book chapters and presented her research at national and international conferences.